Gastroesophageal reflux disease(GERD- commonly known as heartburn) is a common ailment among senior citizens. This wedge mattress ensures that the upper part of the body is higher than the lower part of the body so that reflux is reduced. 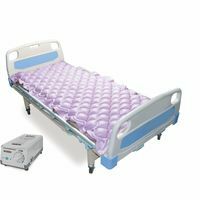 This mattress is also useful for people suffering from asthma, emphysema ,bronchial problems, heart conditions, pulmonary trouble, chest congestion, hoarseness or other breathing problems. Also provides relief from knee stiffness, Sciatic leg pain, restless sleep, and insomnia. Gastroesophageal reflux disease(GERD- commonly known as heartburn) is a common ailment among senior citizens. 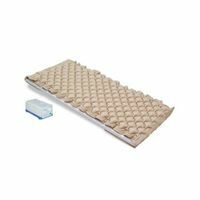 This wedge mattress ensures that the upper part of the body is higher than the lower part of the body so that reflux is reduced. This mattress is also useful for people suffering from asthma, emphysema ,bronchial problems, heart conditions, pulmonary trouble, chest congestion, hoarseness or other breathing problems. Also provides relief from knee stiffness, Sciatic leg pain, restless sleep, and insomnia.